Twitter Offers Tips To Improve Security in User Service: Twitter has reminded users some basic considerations that will help improve the security of your passwords in the. The Twitter tips come days after he suffered security problems that have affected 250,000 users. About 250,000 accounts of social network users Twitter has been a “sophisticated” cyber attack this week, days after the websites of American newspapers The New York Times and The Wall Street Journal were also hacked , as confirmed by the company on its blog. Twitter has determined that hackers could have accessed confidential user information, such as email addresses, encrypted versions of passwords and login credentials, “approximately 250,000 users.” However, “only a very small number of customers were potentially affected by this attack,” according to Twitter. “This attack was not the work of amateurs and not believe it is an isolated incident. Attackers were extremely sophisticated and believe that other companies and organizations have recently suffered similar attacks,” announced Twitter, referring to the two Americans headers. So, Twitter encourages users to change their password and fortify their safety. The company has activated a protocol for those accounts that were attacked and in which Twitter had to intervene. The affected user will receive an email from the company in which calls for creating a new password, since the former has been disabled. 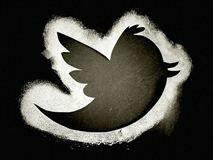 Twitter users have become one of the favorite victims for criminals. Scams and campaigns phishing have rocked the ‘tweeters’ in recent months, making Twitter need to take further steps to improve protection. Since Twitter has taken measures such as the use of a security protocol to validate their email. However, the company wants to convey to users that they need to also be an active part of protecting your information. Specifically, in the last entry in his blog Twitter has placed special emphasis on improving passwords. The company has given some tips to get it. For starters, Twitter has recommended the use of passwords “safe”. The Company understands that for a password answer this description must “at least 10 characters including uppercase and lowercase letters, numbers and symbols.” In addition, Twitter has signed the recommendation to use a password for service. Secondly noted Twitter users should be wary of suspicious links. In this regard, the company has said that we must always be sure that you are on Twitter before entering personal data. This advice is intended to directly combat scams phishing in which mimics the image of the company. The third council of Twitter is that users do not share your data with third parties access to the service. “When you give your username and password to another person is giving complete control to its count. Beware any application that promises money or followers. If it sounds too good to be true it probably is”, are written from Twitter . Finally, the Twitter team explained to users that they must ensure that their teams are always updated with the latest patches and security and protection measures. “Keep your browser and operating system updated with the most current versions and patches as some are released frequently to address specific security threats,” Twitter has ended.